Many Dayton, Ohio, area homeowners choose steel garage doors as replacements because they don’t want to worry about their garage doors succumbing easily to the elements. At 31-W Insulation, we offer garage doors from the leading manufacturer Amarr®. Built with a high wind-load design, these doors will resist blowing in during severe weather, helping to keep your garage safe. The steel construction of these doors also means that regular maintenance will be minimal. What’s more, our garage doors are a wise home investment because they have safety features, such as tamper-resistant brackets that prevent the door from malfunctioning when it’s opening or closing. They also have SafeGuard pinch protection to keep your hands safe during manual operation. 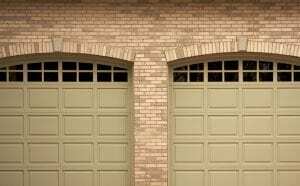 You can also count on your garage doors to function properly because they will be installed by our own factory-trained professionals, not subcontractors. Plus, any garage doors that you purchase will come backed by a generous manufacturer’s warranty for your peace of mind. To schedule a consultation at your Dayton, OH, area home to learn more about our steel garage doors, contact 31-W Insulation today.